I'll simply have to insist on seeing foundry proofs3 of the pages of "April Twilights. "4 The printers5 mistakes are of such a character that I can't risk it any other way. The most serious errors were not in the galleys6. 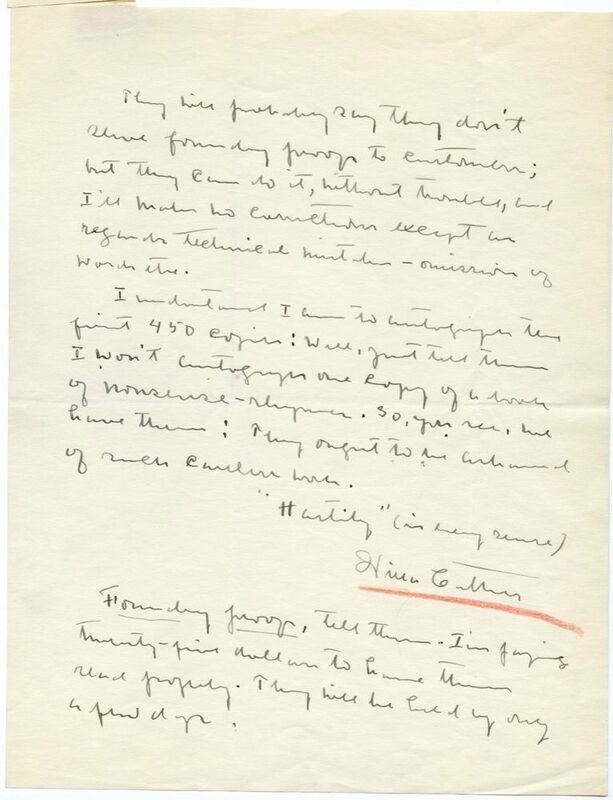 Original copy "Covet COVET the gold of Helen's Vanished head"
Please have foundry proofs sent to my house7 as soon as possible. I will be away, but Miss Lewis8 will give them to a proof-reader I can trust, who worked for me of on McClure's9. They will probably say they don't serve foundry proofs to customers; but they can do it, without trouble, and I'll make no corrections except as regards technical matters—omission of words etc. I understand I am to autograph the first 450 copies: Well, just tell them I won't autograph one copy of a book of nonsense-rhymes. So, you see, we have them: They ought to be ashamed of such careless work. Foundry proofs, tell them. I'm paying twenty-five dollars to have them read properly. They will be held up only a few days. 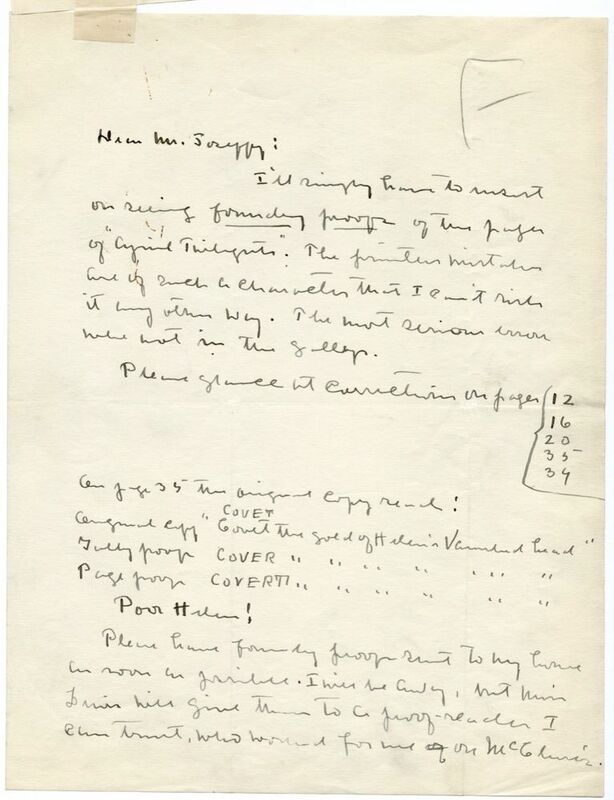 Extant correspondence suggest Cather was reading proofs of April Twilights and Other Poems in January and February 1923, and the first editon was published on 20 February 1923. Proofs pulled for final checking before final plates are made. Pynson Printers were responsible for the first, limited edition, which was published 20 February 1923 (the trade edition appeared two months later). Josephy, Robert S. (1903-1993). American book designer. Born on Long Island, Robert Josephy began working for Alfred A. Knopf, Inc. at age seventeen in 1920, learning the trade of book design on the job. He was involved in the design of the jacket for Cather’s novel The Professor’s House (1925). In late 1925, he left the firm to begin a long and distinguished career as a freelance book designer. 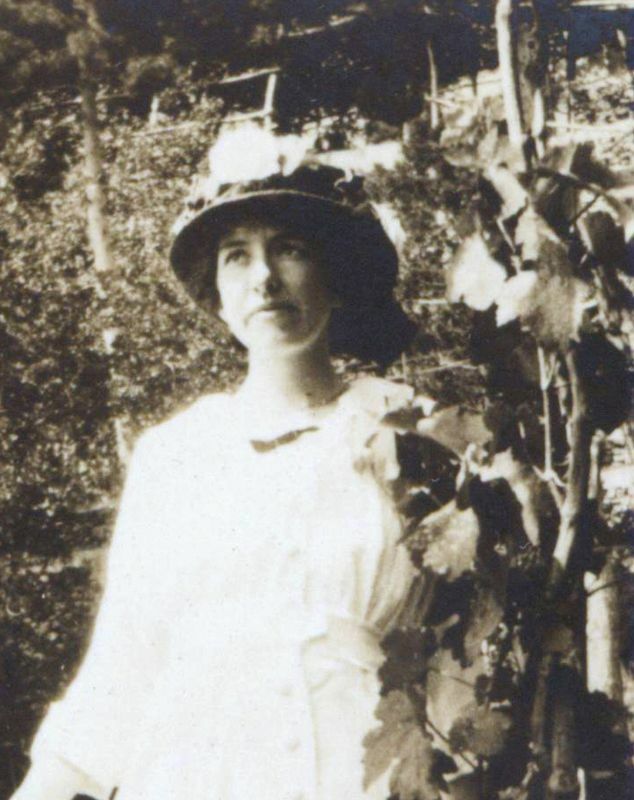 After buying an orchard in Connecticut he became active in environmentalism and liberal politics in the state. The University of Iowa Press published his autobiography Taking Part: A Twentieth Century Life shortly before his death.